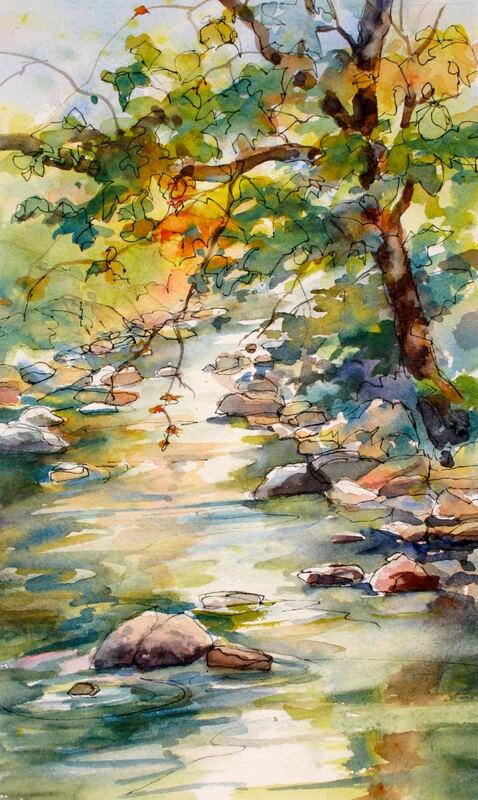 Watercolor is the perfect medium for painting bodies of water, because it flows, sprays, and drips. 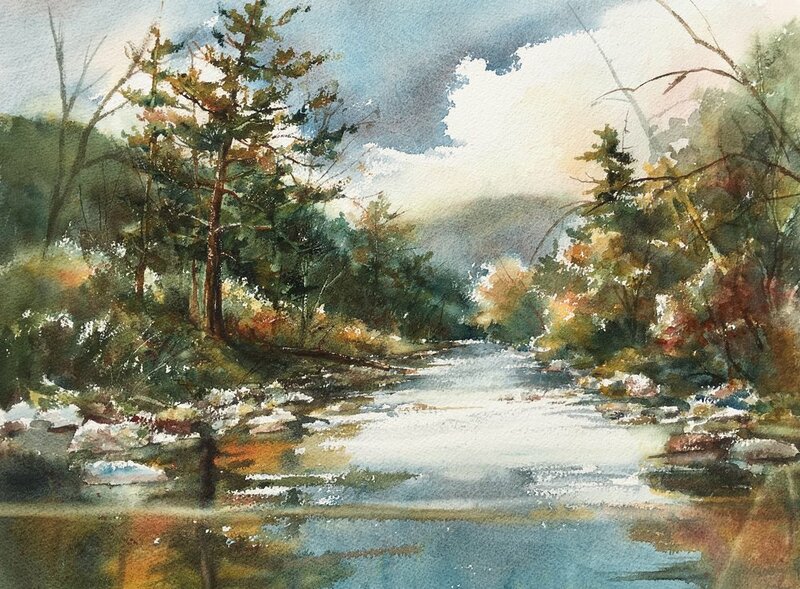 With a little help from Peg, you can learn to paint water in its many forms. 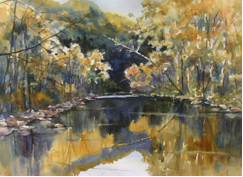 Each class will focus on a different aspect or type of water, including some of the following: lakes , waterfalls, oceans, ripples, reflections, rivers and streams. She will show you techniques for saving whites, making reflections, suggesting underwater rocks, and painting moving water. This class will include: demonstrations, color worksheets, and individual help. 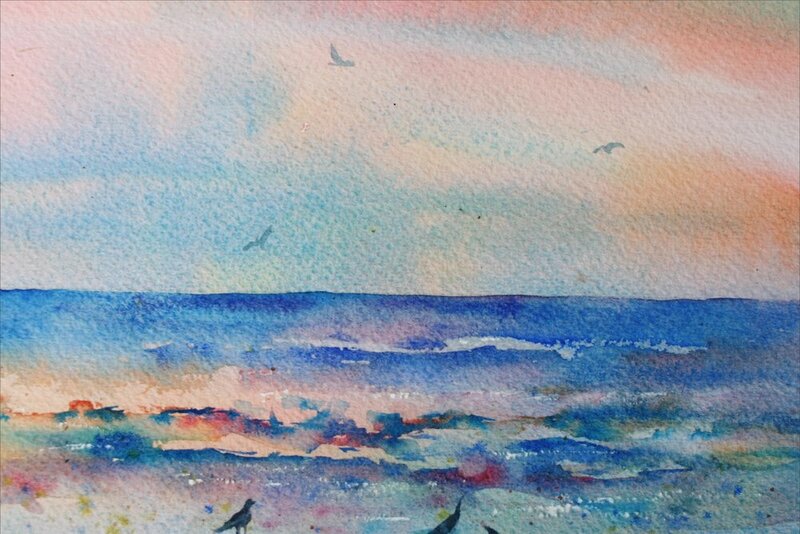 It is open to beginners through advanced painters. Bring some photos of your favorite bodies of water. REQUIRED SUPPLIES AND SAMPLE IMAGES BELOW! 40% OFF ON M.GRAHAM WATERCOLOR PAINTS FOR STUDENTS IN THIS CLASS!! Watercolor brushes, including: 1″ flat, #8 or #10 round, a rigger (#2, 3, or 4) and any other brushes you may want to bring. A scrubber (to take off paint, size #3, 4, or 6), is very helpful. A covered palette is preferred. If you cover it after a painting session, you can reuse the paint. Otherwise, a white china or plastic plate works for a palette. -Add any of your favorite colors. Optional: a small tube of white gouache (which is an opaque watercolor). Any firm surface, such as masonite, foamcore, etc. It should be at least 10X12. -Sketchbook or loose paper, to take notes and make small sketches.